« When It Comes To FOSS, Who Don’t You Trust? Where has Redmond’s moxy gone? It wasn’t that many years ago that even a giant OEM like HP wouldn’t dare release a non-Windows product if the device type was Windows supported. If this were five years ago and the tablet boom was in full bloom as it is now and Windows was tablet ready, as it supposedly is now, the HP brass wouldn’t even entertain the thought of releasing a tablet running anything other than Redmond’s finest OS–apps available or no. Now, it seems, when HP CEO Meg Whitman is talking publicly she uses lots of breath praising HP’s new Android products while barely mentioning Windows 8, if she mentions it at all. Over at CNET, Brooke Crothers opines that HP and their ilk are merely hedging their bets, but we think something deeper is at play here. Hedging they may be, but they can do that only because they’re not scared of Ballmer & Company anymore. The big bad wolf, you see, needs a full set of dentures before his bite will be feared again–maybe not then. “The $479 HP SlateBook x2 is an Android first for HP. It’s ‘powered by Android, the world’s most popular mobile operating system…100 percent tablet, 100 percent notebook, 100 percent Android,’ according to the company’s ad copy. This is just another in a string of non-Windows offerings by HP. Back in February, you may remember, they announced the Slate 7 Android tablet to market alongside the HP Chromebook. It looks like a lot of things at HP are to be powered by the tux wearing penguin. “‘Following the launch of our first Chromebook in February, we launched the Slate 7 in the second quarter…Early signs of interest in [the Slate 7] are encouraging,’ Whitman said. For sure, we’ve been down this road before. The memory of Léo Apotheker’s tablet fiasco with WebOS remains fresh in our minds, but that’s just water under the bridge and is part and parcel of what’s led up to Android, Chrome OS and other open-source non-Windows OSes being embraced by the likes of HP. What is Microsoft going to do about this? Threaten to play hardball and make it difficult for HP’s PC division? We think not. Ballmer can hardly afford to do that; the PC market is the only coin in his pocket. Besides, CEO Whitman is probably prepared for that possibility. We wouldn’t be surprised to discover that she and Shuttleworth have already been becoming phone pals–just in case Ballmer decides to shoot himself in the foot. Microsoft can’t be trusted with Skype. Just because the OEMs aren’t afraid of Redmond any longer doesn’t mean we shouldn’t be. We weren’t surprised at all, this week, when H Online reported that Microsoft has been playing fast and loose with our privacy on Skype. We don’t use Skype here at FOSS Force, but evidently when you sign their user agreement, you let them read everything you write. It appears Skype’s EULA is a little like your Miranda rights. What you say can and will be used against you. That being the case, we must concur with H-Open’s and heise Security’s assertion that all users of Skype should assume this could happen to them too. In other words, when you’re using Skype, figure you’re on a party line. Better yet, figure everything you do is being routed through the U.S. Department of Homeland Security. Things are getting mighty interesting over in Finland. Remember Nokia? The company that once owned the smartphone market until they fell on hard times, which they made worse by deciding to rescue themselves by becoming exclusively a Windows phone maker? 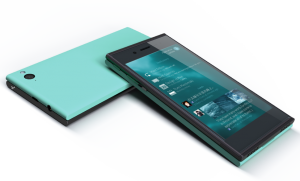 Well, it seems that an assortment of their out-of-work employees banded together, created a company called Jolla, and dusted-off MeeGo, their old bosses never realized last best hope, tinkered with it a bit and came up with an OS they’re calling Sailfish. We learned all this on Monday from an item posted by the BBC. 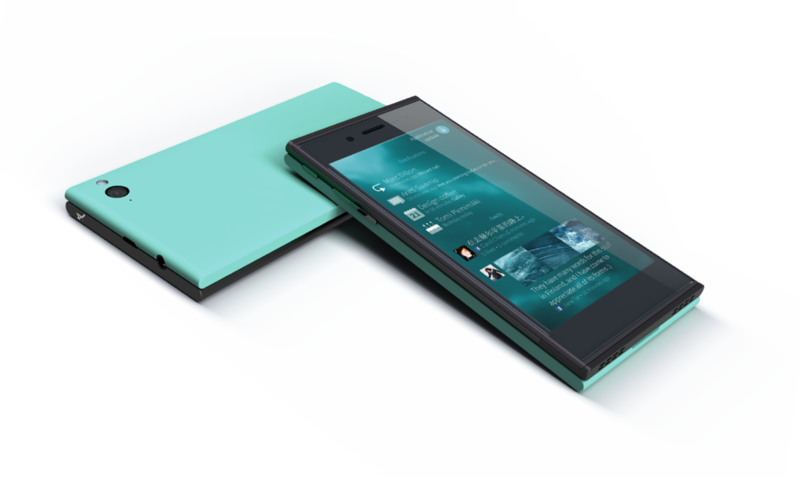 We also learned they’ve installed it on an attractive phone, which they plan to have on the market by the end of the year. At first, they plan to only offer the product online. In fact, you can pre-order already on their website and get a 100 Euro discount. The phone is an original design and features a 4.5” display, has 4G support, with 16GB storage, an eight megapixel camera and a user-replaceable battery. Just in case you’re worried that a new mobile OS absolutely won’t be able to compete with Android and all its apps, don’t. Sailfish will run Android apps, right out of the box. This week Richard Stallman posted an article he penned on the GNU Project’s website titled Is It Ever a Good Thing to Use a Nonfree Program? The answer is “no.” If you don’t know why off the top of your head, then you need to read the article. This doesn’t mean you have to quit using nonfree software. You just need to know it isn’t a good thing when you do. Over in the merry olde UK, the BBC unveiled a proof-of-concept new radio this week. It’s called the Perceptive Radio, produced by a BBC lab (we weren’t aware the BBC had labs) and was unveiled at an event called the Thinking Digital Conference. Oh, the device is “thought to be a world first,” a quote, we presume, that was written with a straight face. “For instance, it could make reference to local places which would differ depending on where in the world you were. “Or it would mention weather conditions that were dependent on what was happening in the real world – such as replacing the phrase ‘it’s sunny outside’ with ‘it’s raining’. Yup. That’ll do it. Just like it was designed by Google. That’ll get ’em away from Pandora and YouTube. Do you know what would do it even better? Program something people actually want to hear. Bring Monty Python back to radio. Or how about a 21st century version of The Goon Show? That’d do it. More cheaply too, we imagine. Oh, one last question. Will it serve up ads according to listener preference? We’ll leave you this week on a blue note. Ray Dassen was a Debian developer for 19 years, joining the project back in 1994. He died on May 18, 2013. At this time the cause of death is unknown. Ballmer got in bed with Michael Dell when they offered a multi-billion dollar loan … despite HP having sold way more Windows licenses in their history than Dell. When you get slapped in the face like that, you take action. @Bob That’s a good point. One that had escaped me. Thanks for bringing it up. You were not aware the BBC had labs? So far the evidence would suggest that HP’s Android play is simply applying pressure on Microsoft to ensure that Dell does not get any special treatment over HP. HP has only just “trial” launched one such device with no commitment or guarantee that the company will even continue production or support into 2014. So any analysis or conclusion on HP’s long term stay with non-Windows technology is foolish at best. Look what they did with WebOS. It was only late 2012 and early 2013 that HP was in collusion with Microsoft in an attempt to berate and discredit the City of Munich, Germany about the city’s replacement of all Microsoft software with Linux based solutions. It has been revealed that the two clown heads made gross and false allegations about many aspects of the transition, and lied about Munich’s actual comparative evaluation report. Therefore It is unlikely that there is any worthwhile change in the draconian and backward stance of HP’s subservience to Microsoft. @W. Anderson Indeed, your facts are all correct. I think a lot will hinge upon “Blue,” or whatever Redmond’s calling the service pack that’s due out in the not too distant future. But we also need to consider the fact that Windows has no track record on tablets while Android does. However it goes, it’ll be an interesting show, no?